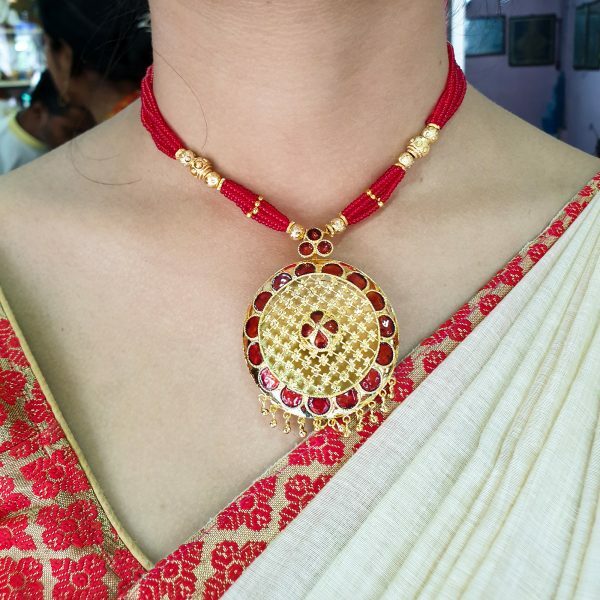 Home » Products » Jewellery » Assamese traditional Pure Silver base Mayur Xilikha Haar. 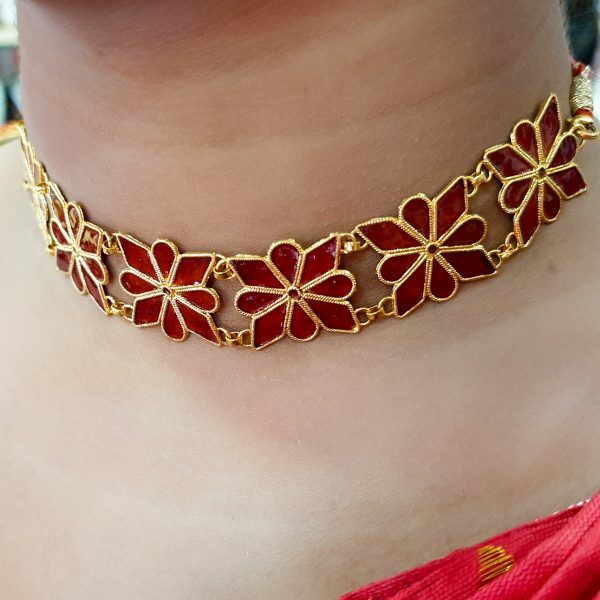 Assamese traditional Pure Silver base Mayur Xilikha Haar. 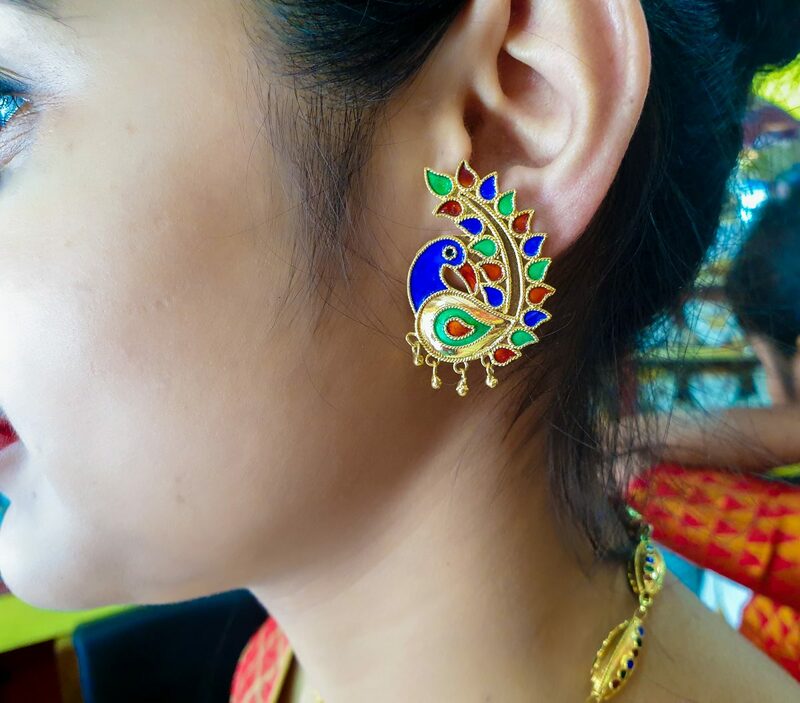 Beautifully designed this big Earrings with multiple colour Mina work on Peacock Style is available which will give a total beauty on full face. 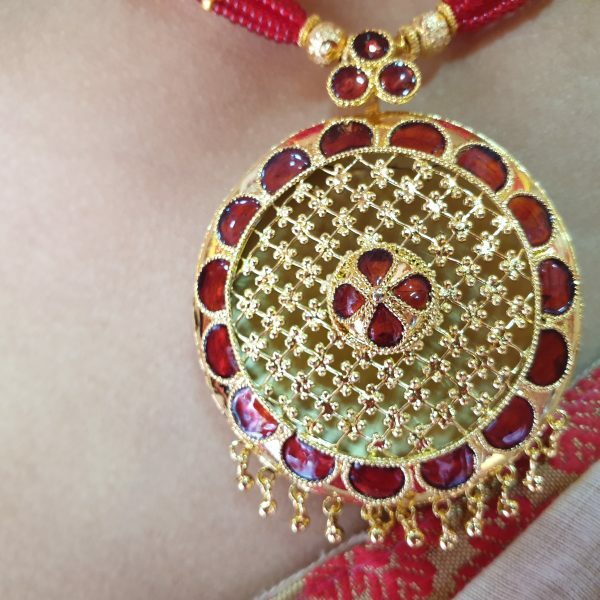 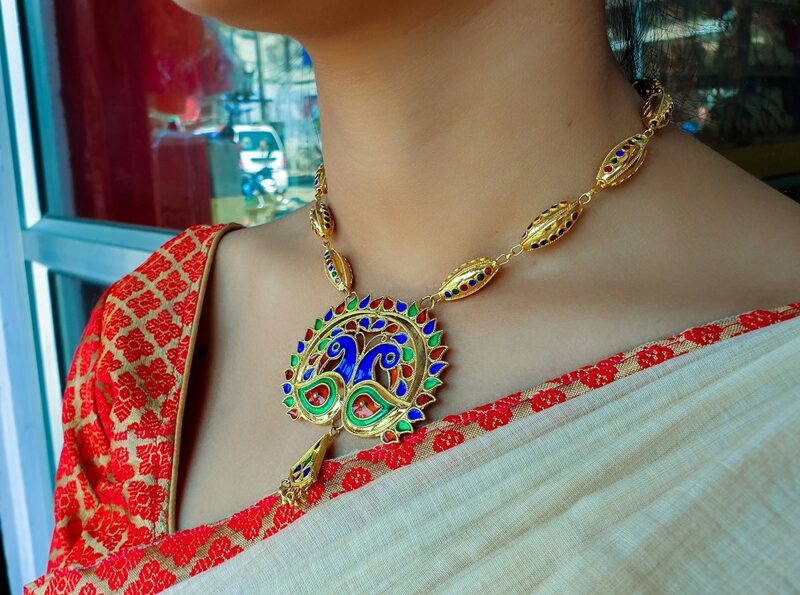 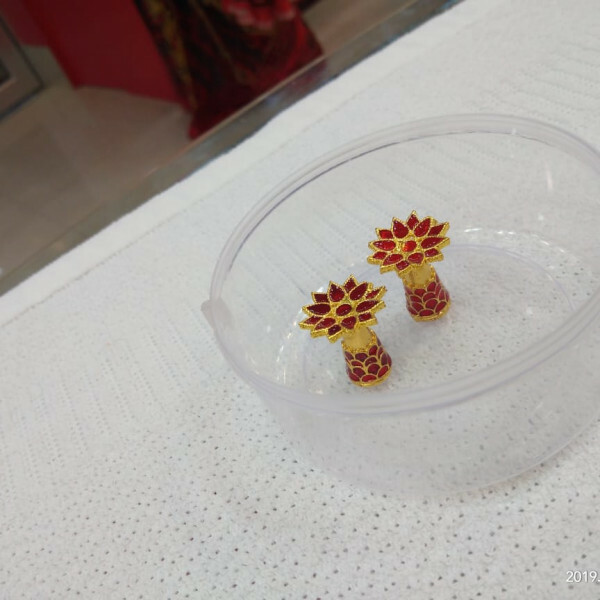 Assamese Traditional jewellery is now in fashion with modified designs. 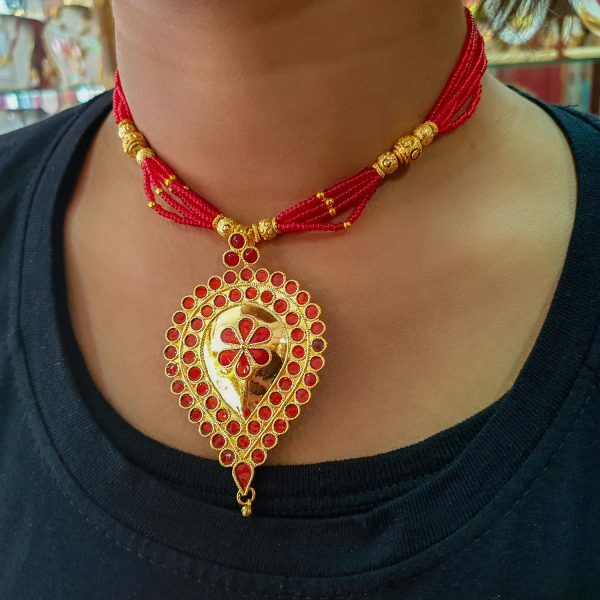 Our designer gives a elegant look to the ornaments which are totally home made in Assam. 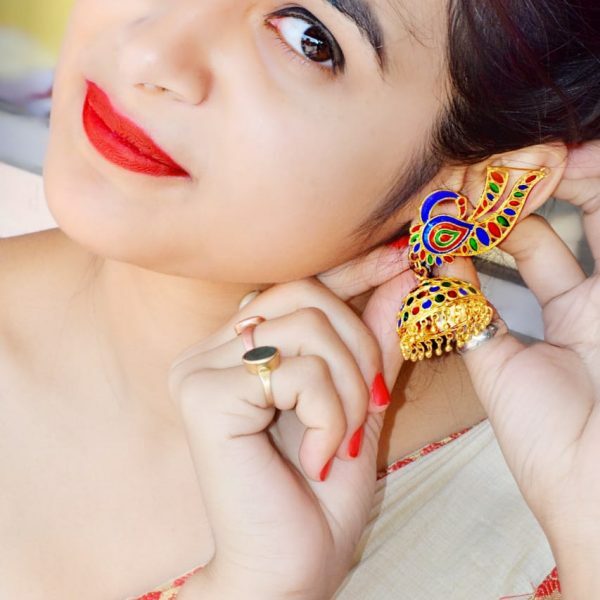 Beautifully designed this big Earrings with multiple colour Mina work on Peacock Style is available which will give you a total beauty on whole face. 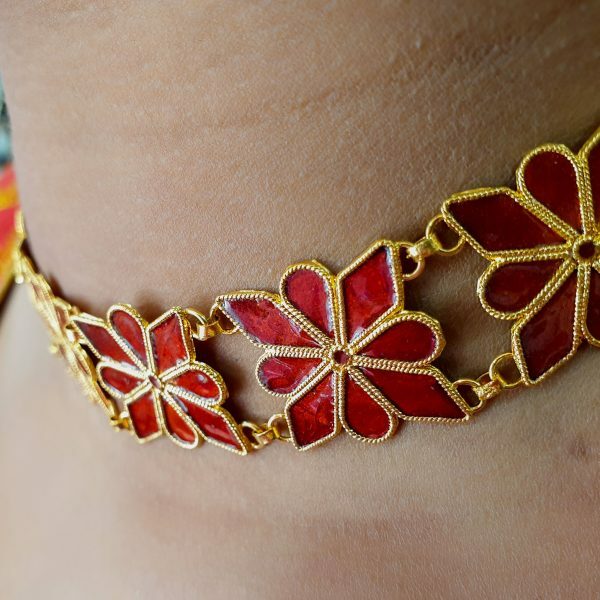 Necklace is gorgeously designed with a pair of Peacock and a chain of Xilikha with Mina work. 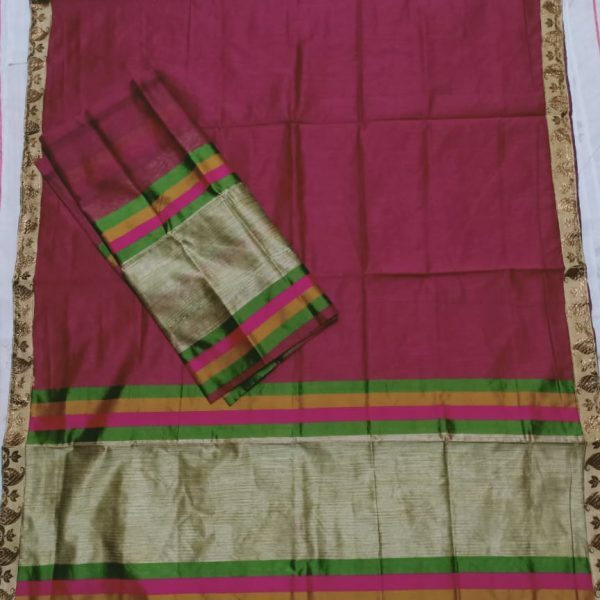 Young girls and women can use this gorgeous set for various traditional purposes, to attend some invitation etc with traditional mekhela Sador, Saree to look more attractive and more confident. 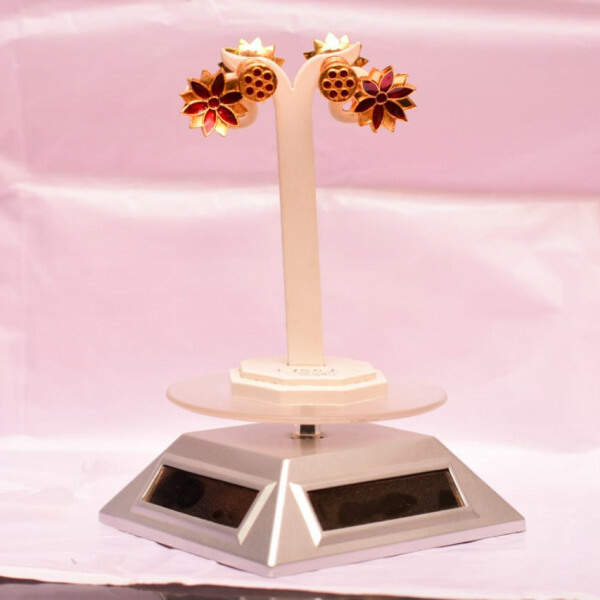 100% Pure Silver base with Gold polish work. 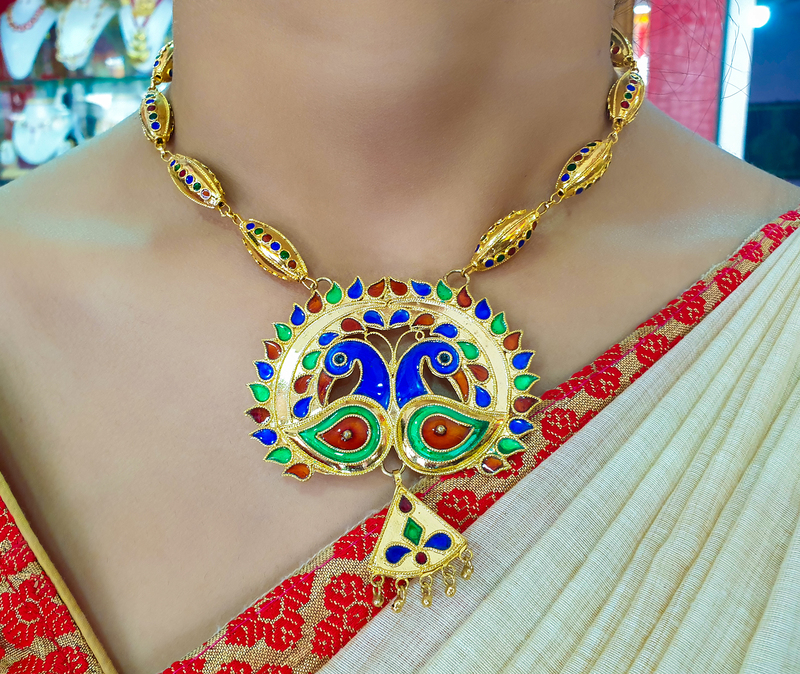 Blue,Green,Coffee colour Mina work on both Necklace and Earrings. 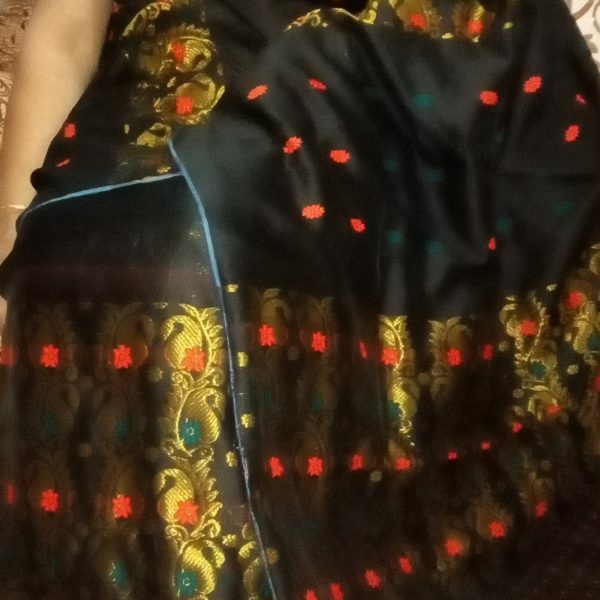 Avoid the touch of water,Spray,Cosmetics etc for long lasting of colours.